Each employee has a unique username and password. 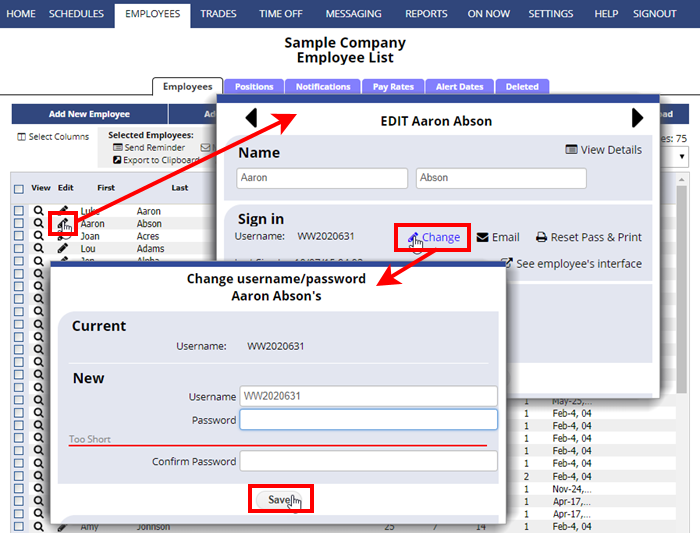 When an employee is first added, they are assigned a temporary username and password that begins with W2W. When they first sign in, they are prompted to create a new username and password in the welcome wizard. Managers with permission to Edit Employees can view employee usernames on the Edit Employee window at the top under their name and it can be changed using the “Change Username and Password” link below that username. 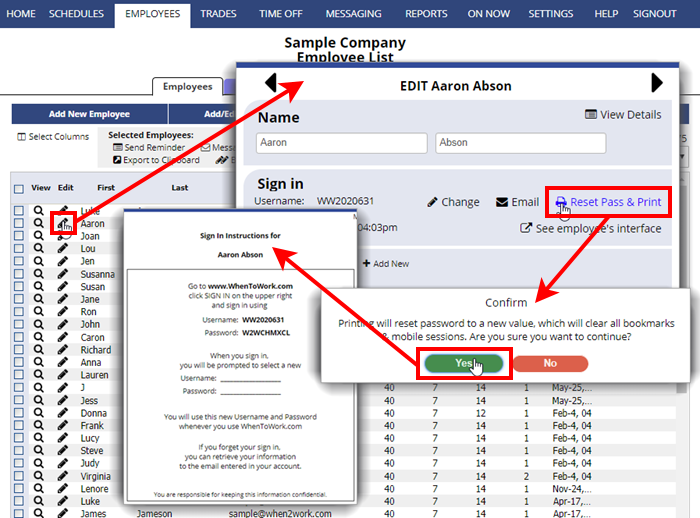 Managers with permission to edit employees can also reset the employee password and print out sign in instructions for the Employee. This resets to a temporary password and the employee can change it when they sign in. Note that employees can retrieve their own login information at any time from our sign in page by clicking the ‘Need username/password‘ link. NOTE that changing the username or password will expire all previous sessions (like bookmarked pages and mobile app icons).